Get to know the all secrets of grillology! The secret of the perfect grill is actually very simple - it lies in this package! 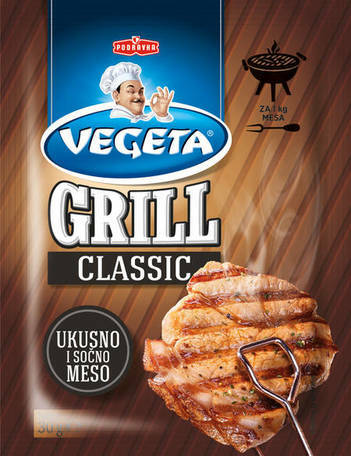 Vegeta grill classic is used for preparing chicken, aubergines, juicy red meat, zucchini, minced meat, mushrooms. A perfect combination of spices will round the taste and intensify the dish flavour. Now that you know the basics of grillology, try it and get the doctor degree on your own delicious discoveries.